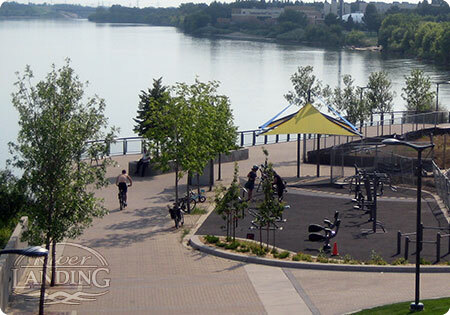 River Landing is home to Saskatoon’s first outdoor adult fitness circuit. It’s the most beautiful spot along the river for a quick workout. 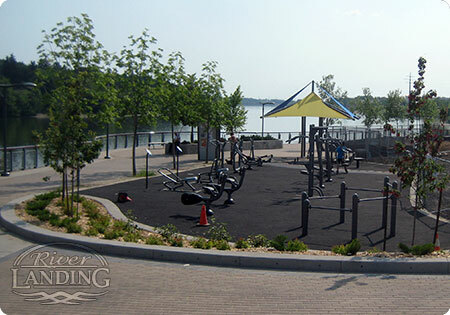 The circuit is a free, accessible, and spontaneous place to exercise. 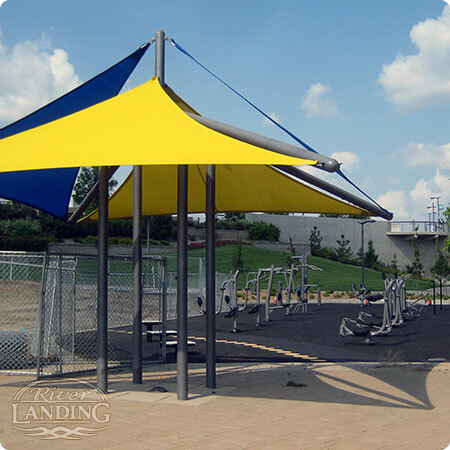 It's located at the west end of River Landing, just beside Victoria Park. A variety of equipment is available to use for a workout involving cardio, muscle and strength, balance, coordination, and flexibility. Try out the rowing machines, cardio walker, elliptical machines, leg presses, chest presses, lat pull downs, pull up & dip station, multi-bars, agility track, and pylo boxes. Each machine will have an instruction plaque, showing you how to use the machine. Some of the machines are also wheelchair accessible.